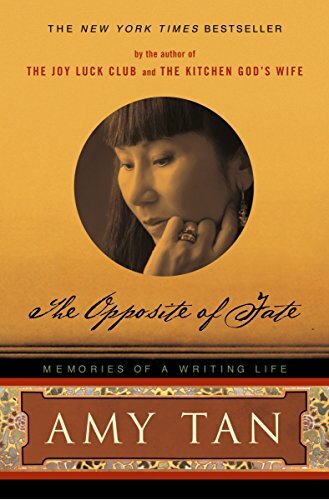 by Amy Tan | Biographies & Memoirs | This book has not been rated. From the back cover: "Bestselling novelist Amy Tan shares the story of how she escaped the curses of her past to make a future of her own. She takes us on a journey of her childhood of both tragedy and comedy to the present day and her arrival as one of the world's best-loved novelists. Whether recalling arguments with her mother in suburban California or introducing us to the ghosts that inhabit her computer, The Opposite of Fate presents a refreshing meditation on the choices, charms, freedoms, and luck that affects us all." This is now on its way to another bookcrosser who chose it out of a VBB I was participating in. Enjoy! Arrived safely in Dublin, thanks for sending it on and the lovely book mark.